Santa Monica's Huntley Hotel faces a $310,000 for concealing campaign contributions. 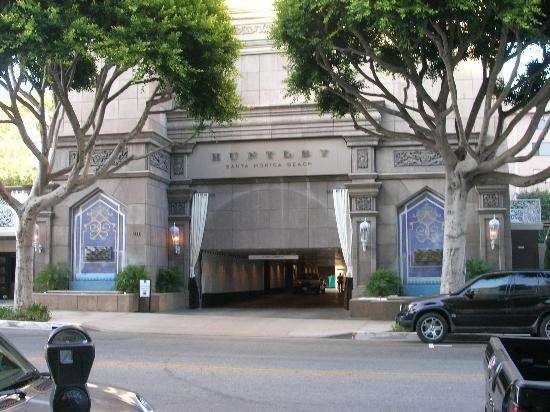 SANTA MONICA—The Huntley Hotel in Santa Monica is facing a $310,000 fine for improperly concealing contributions to local political candidates in the 2012 and 2014 elections as it battled the expansion of a rival hotel, records show. According to the California Fair Political Practices Commission (FPPC), the Huntley channeled 62 illegal contributions, totaling $97,350, through employees and local businesses. Donations were made to local politicians including Ted Winterer, now mayor, and Councilmembers Gleam Davis and Terry O’Day. The hotel’s fine is believed to be the second largest issued by the FPPC. According to the commission, the Political Reform Act prohibits contributions in the name of another and is meant to keep the public aware of the sources of campaign contributions. In 2012, the Fairmont Miramar, an oceanfront hotel adjacent to the Huntley, began pursuing a significant expansion that included a 21-story high-rise. According to the FPPC ruling, the Huntley hired the Los Angeles law firm Latham & Watkins to advise on ways to oppose the Miramar’s expansion plans. Following the advice of the firm, the hotel selected its longtime general manager, Manju Raman, to act as a liaison with the community. It also hired political consultant Susan Burnside to organize community opposition. The ruling indicates that Burnside formed a coalition called Santa Monicans Against Miramar Expansion and a political committee named Santa Monicans for Responsible Growth (SMRG), along with residents Ivan Perkins and Susan Scarafia. The organizations intended to provide a way to support slow-growth candidates who opposed the expansion. According to the FPPC report, Latham & Watkins suggested the hotel should collect money from different individuals and present them as a whole to two City Council candidates, Ted Winterer and Richard McKinnon, who were believed to favor a slow-growth platform. Raman, who stated she had no prior experience in campaign contributions and was not familiar with campaign finance rules, secured donations by offering to reimburse hotel employees, associates, and local business owners. In 2012, the Huntley reimbursed 44 contributors who donated $86,650 to the City Council candidates and SMRG. That year, the law firm Richardson Patel also made a $10,000 contribution to the political committee in the name of an Encino Pilates studio. The FPPC contends the hotel repeated its actions in 2014 by funneling money through the Pilates studio and reimbursing individuals who donated. In a related investigation, Richardson Patel and the studio face a $10,000 penalty for concealing original contributor information. The hotel’s IT consultant, Playground Consulting, was also asked to make a campaign contribution and reimbursed for $50,000 in donations. The commission found that Raman had no previous violations of the Act. She accepted responsibility for her prior actions, the ruling said. “Raman contends that neither the attorneys nor the political consultant she worked with had suggested that she was doing anything illegal at the time, and that her own attorneys participated in one of the reimbursements without objection, leading her to believe that her actions in reimbursing others’ contributions were not unlawful or inappropriate,” the FPPC said. The FPPC complaint does not state the political candidates knew about the reimbursements. The Huntley admitted to the violations and cooperated during the investigation, according to the complaint. The fines will be proposed at the FPPC’s meeting in Sacramento on Thursday, August 17.